NLEX forward Sean Anthony’s huge effort against powerhouse Talk ‘N Text on Friday earned him his first Accel-PBA Press Corps Player of the Week. The Fil-Canadian forward tallied a PBA career-best 32 points along with 12 rebounds, two assists and a steal to help the Road Warriors complete their successful climb from a 17-point hole against their sister team. The 29-year-old Anthony, selected sixth overall by Air21 in the 2010 PBA Rookie Draft, bested Barangay Ginebra’s young big man Greg Slaughter, San Miguel Beer’s June Mar Fajardo and Meralco’s Gary David for the weekly citation. NLEX coach Boyet Fernandez believes the team hit the jackpot when they acquired the 6-foot-4 Anthony during the offseason via a three-team trade. “We really wanted to get Anthony because we really don't have a four-man who's agile so it's a jackpot,” said Fernandez, whose team climbed to a share of fourth spot with TNT and GlobalPort with a 3-2 win-loss record. Anthony has PBA career averages of 20.8 points, 13.6 rebounds and 4.2 assists in 33.8 minutes of play. His workman-like approach to the game provides the much-needed frontcourt help for ageless slotman Asi Taulava. 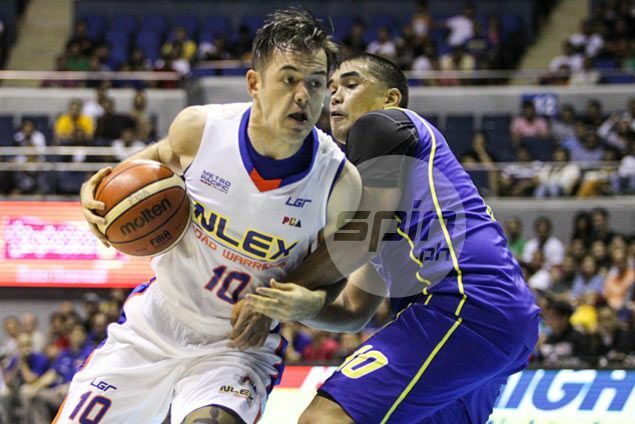 NLEX hopes to add Meralco, another sister team, to its list of victims in the Philippine Cup when they collide in a rare Tuesday game at the Smart Araneta Coliseum.